That’s right…once again I dropped the ball on blogging regularly. I admit full fault for it and as always I have a fabulous excuse (besides being a mommy to an almost 2 year old Penelope). I was busy working! Yes, that’s right! WORK! Before you get too confused, yes, I am still a SAHM. However, I found a way to bring in a little extra income and have a lot of fun doing it. 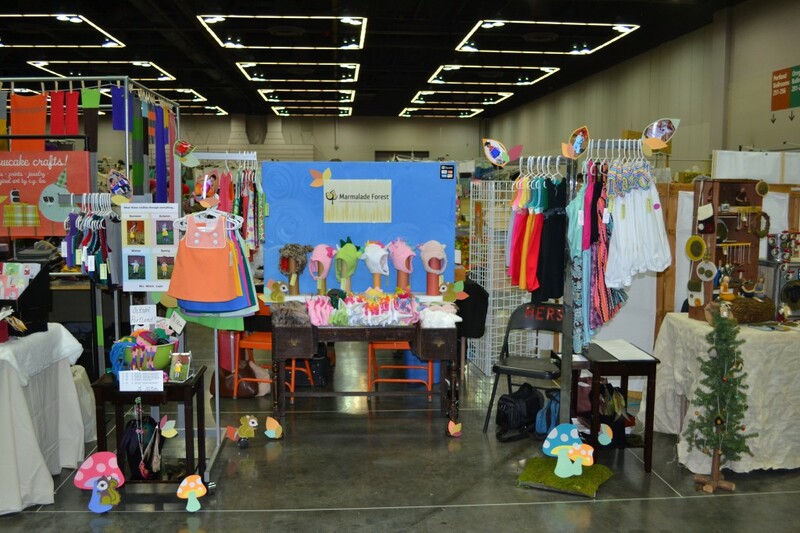 In December I had the honor of being chosen as a vendor for Portland’s “weird” craft bazaar, Crafty Wonderland. I found myself busily sewing up a storm of winter hats, dresses and little vest and bowtie sets. There was little time for much else other than family care, household duties and sewing. The event went swimmingly and I am pleased to say that my items (hats especially ) were a big success! I plan on applying for the upcoming Spring show as well as next years shows. So….what am I doing now?!? Great question! 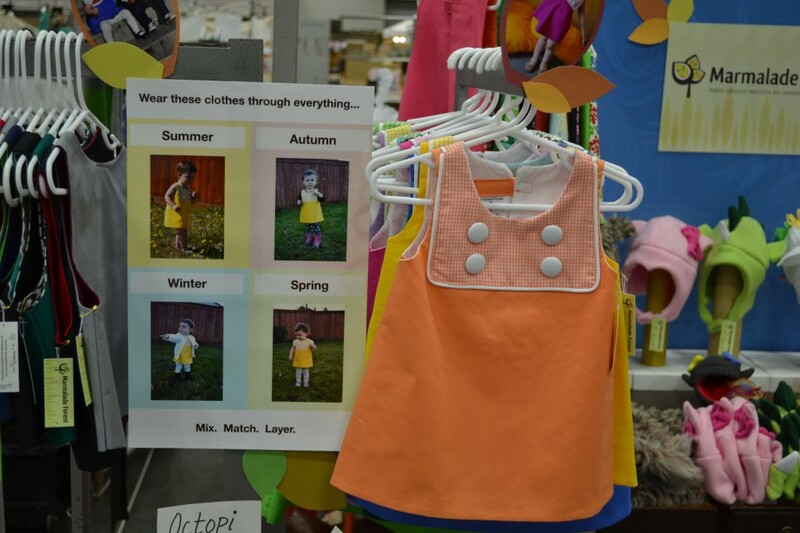 I am currently gearing up to start my spring and summer line of kidswear and accessories. I am so excited to get a start on them. I will be introducing some new designs such as a super fabulous and chic sunhat, a fun animal themed sunhat and a nautical inspired line of beachy kids clothes that you won’t be able to resist! (or at least I hope you won’t…) I am also currently looking to get my childrens wear into different local shops. It seems to be a heavy and daunting task and I’m trying to figure out the best way to start. Sewing up racks upon racks of clothing while trying to enjoy the spring, and prepare for my daughters 2nd birthday and keep myself in good health, and, and, and….well you can see how that would be a little stressful. So, I am thinking that I may start with hats. 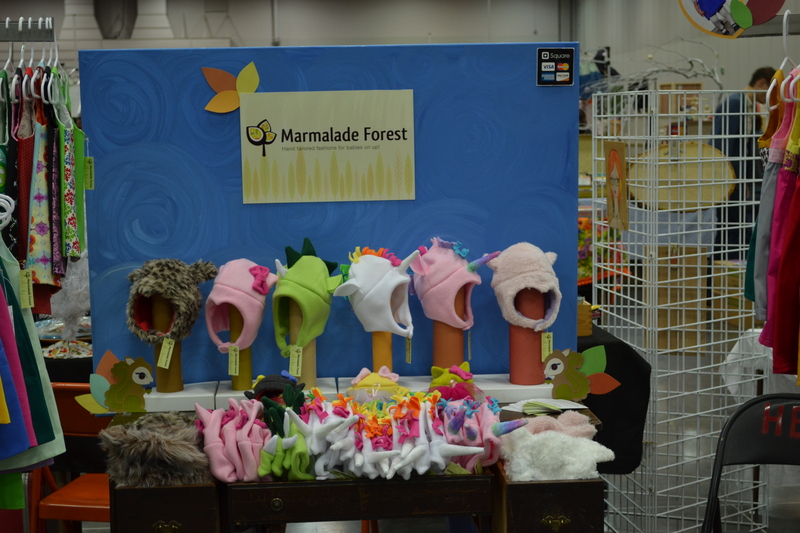 Hats seem to be my biggest seller. They are fun, needed and the perfect price point for a little splurge. I figure if I can get my hats into some stores then perhaps as time passes by I will be able to go ahead and extend my line into clothing. It seems much more realistic and attainable for a busy mama like myself. I have some great leads on shops, but I need to put together a wholesale packet before approaching them. I want to do this the right way, so I’m trying to be steady about it and not feel the pressure to do it NOW! Of course, that’s hard for my personality type, but I’m working on it. That’s great but how do we buy your cute kids clothes RIGHT NOW?!?! I am glad you asked! You see that link up at the top of my blog titled “shop”? Just put your little mousey clicker on that word and clickety-click away. You will be taken to a magical land of Etsy shopping goodness where you can pick up adorable mod dresses, one of a kind vests and bowties and sparkly horned unicorn hats for your little ones(3 months to 6 years of age). I’m even going to sweeten it up for you more by letting you use my awesome 20% off coupon code good through March 15th. All you have to do is shop and then type in CRAFTYW at checkout in the coupon code box provided. Simple! The Princess has awoken from her nap and is beckoning me….until next time! ← Super mom…or just super fortunate?